Update: just found another 6 in stock at a penny less. Just been looking around at some bits for a Kaby lake build I'm considering. Spotted this RAM and although it's a bit much for me right now, someone else might have deep enough pockets for this kit. 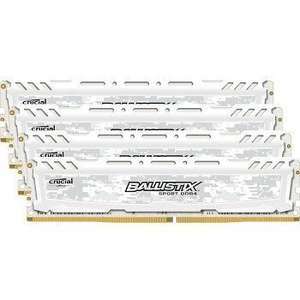 Always been a fan of Crucial Ballistix, had a few failures in the past and they have always done advance replacements, great company IMO. Where did you dig up those damning bullet points? If I had been aware I would never have posted the deal. Yeah, I was kind of anticipating a chill. It's nice when life meets your expectations.